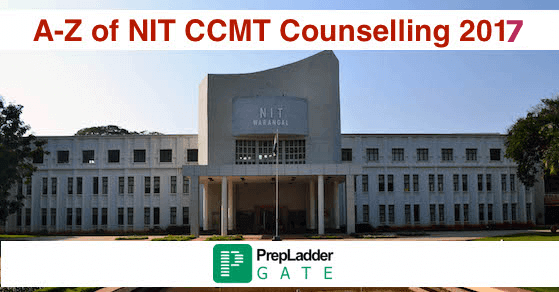 The admissions to the NITS in M.Tech programmes is conducted through CCMT where CCMT stands for the Centralised Counselling for M.Tech/M.Plan. Candidates who have qualified GATE must apply for the CCMT 2017 (online) to get admission in the M.Tech programmes at the NITs and some CFTIs. Candidates are given admission to 29 NIT’s and 11 other Technical institutes funded by the Central government. This article provides you all the necessary details that you should know about CCMT. Several new institutes that have joined CCMT in 2016 are IIITD&M Kancheepuram, PEC University of Technology Chandigarh, and NIT Uttarakhand. Experts at Gate-PrepLadder have prepared ranking of NIT’s according to its placement and research. Here is the list of top NIT’s. Note: The ranking list is for reference only. Candidates who have qualified GATE are eligible for admission process to M.Tech/M.Plan courses through CCMT. Candidates can apply online for CCMT till May 8, 2017. Applicants must fill all the asked credentials with authentic information and then submit the form after filling the fee and save a copy of the saved application for future use. Application fee for the General category candidates is 2000/- and 1500/- is for SC/ST category candidates. This fee can be deposited through Debit/Credit card/Internet Banking/SBI Challan. 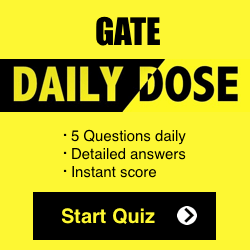 Must have a valid GATE score of the year 2015/2016/2017. A general category candidate must have secured more than CGPA of 6.5/10 or 60% marks in bachelor degree while CGPA of minimum 6/10 or 55% is required for SC/ST category candidate. The Counselling will be in online mode. Seats will be allotted based on the GATE scores secured by the candidates and also considering the options saved by them. Once the seats are allotted candidates will have to pay the specified initial fee online or through SBI E-challan. Only after the payment is made, aspirants have to report to the ‘Reporting Centers' or ‘Allotted Institute’. Original documents will be verified there and candidates will have submit photocopies of the verified documents along with the proof of initial fee payment. If the candidates wish to exercise “upgrade Options”, they can. In this Candidates will be issued Document Verification Note (DVN) after document verification and fee payment. Candidates will have to pay the balance fee within specified time and take a print of the Provisional Admission letter generated after payment. Then they have to report to the allotted institute for final admission and classes as per mandatory. They have to submit the DVN, Provisional Admission Letter and the payment receipt on reporting to the Institute. Vacant seats for NSR will be displayed on the CCMT website as per the CCMT schedule. Candidates willing to participate to NSR should register by paying NSR Fee of Rs. 42,200/- for OC/OB (Rs.40,000/- NSR Participation fee + Rs.2200/- registration fee) or Rs.11,700 for SC/ST/PWD (Rs.10,000 Participation fee + Rs.1700/- Registration fee) through SBI MOPS (i.e Net Banking/ Credit card/Debit cardor e-challan at any branch of SBI) and enter the choices from the vacant seats. The Registration fee is non-refundable and would not be adjusted towards any other fee.